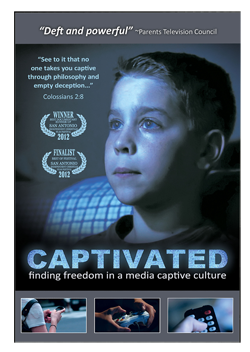 As a member of The Old Schoolhouse Review Crew, I recently had the opportunity to watch Captivated, a documentary about the plugged-in world we are living in, produced by Media Talk 101, a small company dedicated to informing the public about the dangers of a lifestyle that takes a bit too much advantage of the digital age. From the very beginning, I was impressed with how professionally the documentary was put together. The script is well written, too. The producers brought in a series of leaders in modern Christianity, as well as medical doctors and family therapists, to analyze the proliferation of screens in our lives and its effect on relationships. This DVD costs $16.95. The shipping is free. If you wanted to order a second one for sharing, it’s only $5. If you have teens, they should definitely watch it with you. I have small children and I did not show it to them. If you have middle school age children, it’s your decision. The movie has been approved for all ages. I liked the images of the film’s creator in Times Square – the epitome of our fast lifestyle – in the beginning and at the end of the documentary and how they tie the message together. Another telling image is that of a man on his cell phone in the middle of a corn field. “Where can I go to flee from your presence?” exclaimed David toward God. That might as well be our cry towards screens, which surround us no matter where we go. The documentary begins with a bit of history and it zooms in on the advent of the telegraph. It was a significant moment in human history because, for the first time, the message could travel faster than the messenger. For the first time, people could be connected remotely without needing to walk, ride a horse, a car, or a train. I met my husband online, so I was delighted to hear that people met vicariously as early as 1890. “Wired Love,” a love novel from that era, was inspired by a true story. Two people who met via Morse code finally met in person. Since they could not really communicate with each other and it all seemed awkward, they walked in two separate rooms and he proposed via the telegraph. How romantic, right? The documentary is divided in five parts: Media Consumption, Content, Captivity, Battleground, and Freedom. Want some startling stats? Today, we have more TVs than children in our homes. In some homes, there are more TVs than people in the home. American children spend over 53 hours per week in front of a screen. We wonder why our youth seems so passive and unmotivated. All that screen time tricks the brain into thinking you have done something, when, in fact, you have just wasted your time and accomplished nothing. The youth seem to think they can multi-task. That they can study while watching TV and monitoring their cell phones which, besides text messages, alerts them instantly of any social media updates. Experts agree that nobody can multi-task. This life spent plugged into some sort of virtual reality is slowly but surely changing the definition of what it means to be a human. The documentary recommends a series of books for further study: “Distracted” by Maggie Jackson, “The Dumbest Generation” by Mark Bauerlein, “Amusing Ourselves to Death” by Neil Postman – among others. I thought the word “amuse” spoke volumes: amuse = a + muse, where a = not and muse = think. So next time you go to an amusement park, think again. I have never liked amusement parks and now I know why. 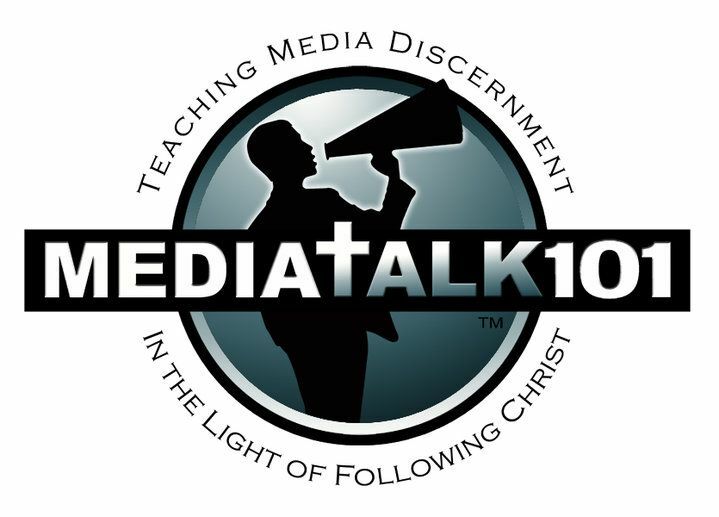 The documentary introduces the idea of a media fast. You know how Jesus mentioned there are some type of demons that can only leave us alone with praying and fasting? I believe that is true for the mind, as well. You try to go on a day media fast and you will see how hard it is not to reach for the cell phone or the iPad. Try a week or a month. Are you already coming up with excuses describing how legitimate your need is to log into your Facebook or email account? There’s your answer. “Captivated” lists the physical downsides of technology: obesity, sleep interruption, hearing problems, eye strain, carpal-tunnel syndrome, just to name a few. What is alarming though is the reality that media addiction is worse than a drug addiction. The parents agreed and, at the end of the experiment, came back to the principal to report that their children did not have ADD symptoms anymore. The documentary also shows Shepherd’s Hill Academy, a residential facility where teens go to overcome their media addiction, which has made them out of control. Their testimonies were touching. I used to work in a similar place and it brought back memories. Parents need help discerning what kind of content to put in front of their children, if they decide on allowing screen time at all. We are so bent these days on not censoring anything, that we have forgotten the Bible teaches we are to take every thought captive to the obedience of Jesus Christ. Let me paraphrase another great quote from the documentary. They said television was a vast wasteland in 1961. Well, if that is true, television now is a toxic dump. These are words from television executives and people involved in the Parents Television Council. Ever wondered who is behind the uber-useful website PluggedIn.com (run by Focus on the Family), where you can read reviews on pop culture products from a biblical perspective? I did. Well, his name is Bob Waliszewski and he appears on “Captivated.” He encourages parents to remember that it is OK to deny ourselves and our children. We are called to take up our crosses and follow Him. the documentary should be heavily edited for length; do we really need to spend 107 minutes in front of a screen which tells us about the evils of sitting in front of screens? That’s an irony which will not escape those who oppose the message. My husband gave up on it after about 45 minutes. We did not show it to our young children. the families portrayed in the documentary have six or more children; that’s unusual to those of us who are not of the “quiverful” persuasion; it can be a turn-off to the mainstream American family. the ladies on the documentary wear very long skirts; I understand conservative circles will watch this DVD and may have paid for the making of this DVD, but mainstream Americans do not dress that way. They might feel as if they have stepped into some kind of back country compound bordering a cult sub-culture. if you propose we turn off the screens, please give us more ideas about what to do with ourselves, besides reading the Bible, foraging, playing an instrument and learning new skills. Not everybody is excited about foraging and the documentary spends a good ten minutes presenting this family’s new found passion. Not everybody is musically inclined. Not everybody can read the Bible for an hour at a time. As for new skills, when one has small children, online courses are the golden ticket but oops, that’s more screen time. For sure, as parents, we need discernment in every aspect of our parenting ministry to our children. Media is a huge one and “Captivated” will help you focus and find some solutions for your particular situation.